Audrey Hepburn has always had a strong connection to New York City. When she played Holly Golightly in the Oscar-winning “Breakfast At Tiffany’s”, Hepburn filmed on location in the world-famous Tiffany & Co. on Fifth Avenue as well as from the brownstone where her character called home. Today, the Big Apple’s Little Italy district even boasts a stunning mural of the stylish film star. If you want to do your best Audrey Hepburn impersonation, don your favourite black dress and have an unforgettable night on the town, here are the New York City hotspots you’ll absolutely want to visit. In “Breakfast at Tiffany’s”, Audrey Hepburn’s character lived in a brownstone house located in the Upper East Side of Manhattan. This home is worth millions today! While much of the Upper East Side is residential, there are also some incredible museums and nightlife spots worth a visit. Get dressed up and head to the Auction House, an upscale bar with a strict no-denim dress code. The Victorian lounge has some chic, modern touches, but it is the velvet couches and resplendent cocktails that will keep you coming back time and time again. Audrey Hepburn was no stranger to Broadway theatre, and she spent plenty of time in Times Square when she acted in the 1951 Broadway play “Gigi”. 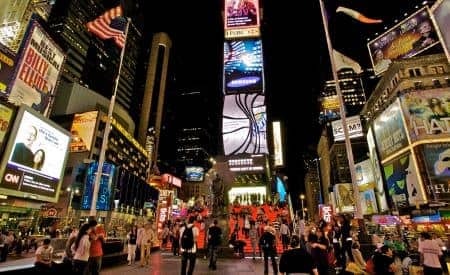 The theatres in and around Times Square, collectively known as Broadway, are still fantastic places to dress up and spend a night on the town with friends or a special someone. 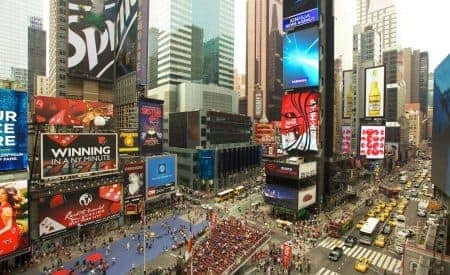 Tickets for some of the biggest names in Broadway sell out weeks in advance, but the best place to score tickets is from the Times Square Visitor Centre. If you want to splurge on a night to remember forever, time your trip to New York City with the annual Tony Awards, and watch some of the biggest names in theatre be recognized by the industry. Of course, you’ll need a spectacular dress for this event, as it is televised and broadcast around the world. While you might want to don your little black dress for a night on the town, show it off in daylight with a shopping trip on Madison Avenue. You won’t feel at all out of place among the stylish and well-dressed men and women who come to this famous avenue just to shop among the boutique stores, designer shops and upscale department stores like Barney’s. Of course, the real destination should be Givenchy, the brand of black dress that Hepburn was so famous for wearing in “Breakfast at Tiffany’s” that happens to have its largest NYC location right on Madison Avenue. Were Audrey Hepburn alive today, there is a good chance that she would want to dine at L’Artusi, a charming Italian restaurant located in the heart of Manhattan. Audrey’s favourite food, noted her entire career, was spaghetti. At La’Artusi, this is definitely on the menu, but you’ll also find a range of interesting and updated dishes like charred octopus with pancetta, roasted quail with a turnip puree, and tortellini with lemon and ricotta. If you have dressed up in your finest for the occasion, be sure to indulge in one of the many wines stored in the onsite cellar or perhaps a traditional Italian cocktail like the Benevento. For a nontraditional place to show off your finest apparel, head to Hudson Bar & Books in the West Village. At first glance, you might be surprised to learn that this space, which boasts walls covered in books, is actually a glamorous and upscale bar. Refined and civilized, this is a place for quiet and intimate conversations and a departure from the loud, heaving nightclubs that Hepburn, a self-proclaimed introvert, surely would not have approved of. Of particular importance at Hudson Bar & Books it the incredible variety of scotch on the menu, which just happens to have been Audrey Hepburn’s tipple of choice. To follow in her lead, order a single finger’s worth of scotch, and never imbibe before 6 pm. To embrace the glamour Audrey Hepburn herself personified, nothing but a flattering and classic black dress will do. In New York City, there are countless opportunities for you to show off your favourite dress and have the time of your life. 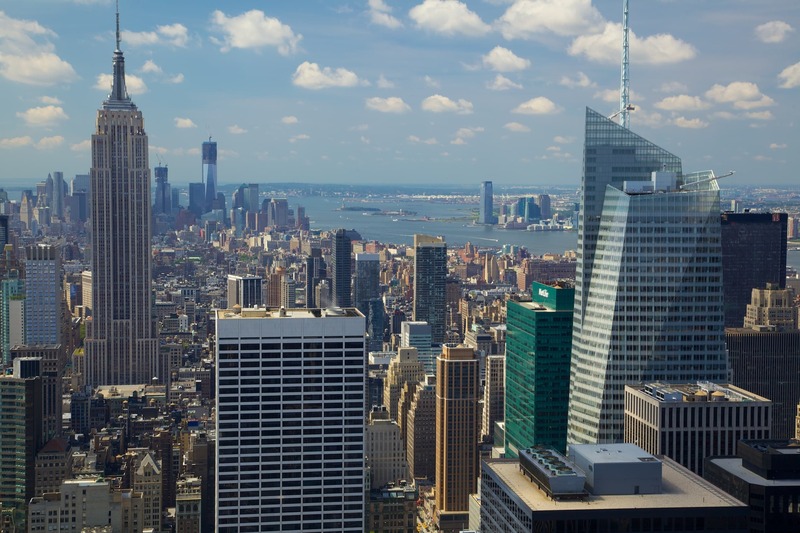 From sipping scotch to shopping to catching a Broadway performance, the Big Apple offers something for everyone. The Most Popular Events in New York!